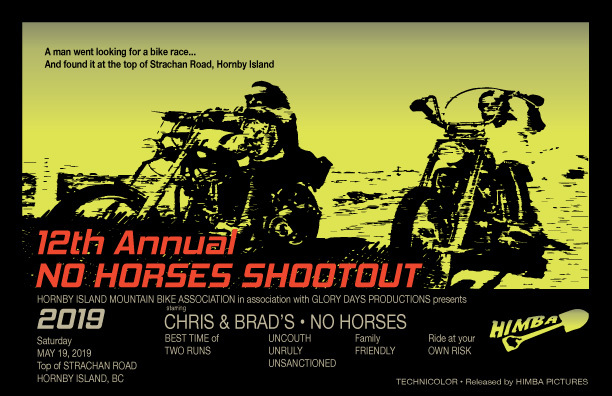 The 11th Annual No Horses Shootout was a blast! A small but fast field of riders competed in perfect conditions on Chris & Brad’s and No Horses Trails. Especially exciting was the nail-biting final two runs from Brett Martens and Jody Rutherford, who were only separated by 8/100ths of a second after their first run. Rutherford pulled out all the stops on his second run and turned in a new course record of 1:30.72. Martens gave it his all on his final run but lost traction on the last corner and crashed spectacularly. He was uninjured and finished the race with a smile. The women’s event was won by off-islander Megan Racher with a time of 1:56.81, but Hornby’s own Nina Stuhlmacher was a close second with a respectable 2:04.34. For complete results see below. Big thanks to the HIMBA volunteers who came out and produced a race out of thin air for the 11th year in a row. The turnout for the kids’ races was a little small this year and we at HIMBA are contemplating what is needed to make it easier for Hornby parents to bring their kids out. One idea being considered is staging the two sets of kids runs first, before the adult events, this would mean there would be much less standing around at the top of the hill for all categories. 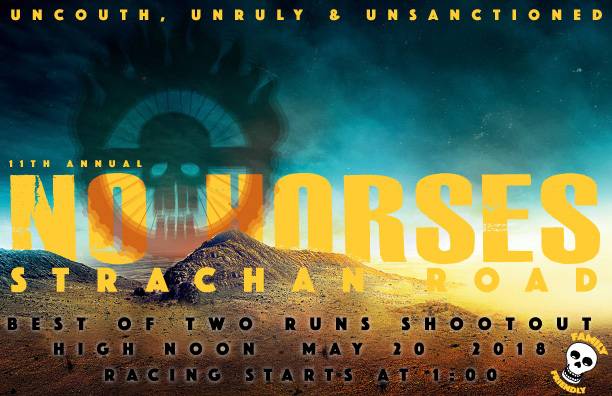 For example, we could run the kids categories at noon, and then the adult races at 1:00 this would allow the kids to do their two runs and then relax and enjoy watching the adults race. This would also allow the adults’ event to flow much faster. Please let us know what you think. New this year was a Men’s 50+ category, which was won by Rob White. This new category had some of the closest competition and was well received by the fast old guys who call Hornby home. We had two costumed riders this year, Hornby Fire Chief Doug Chinnery raced in his fire department gear (Man, that looked hot!) and Sasha LeBaron was The Stig. Should we make it official and introduce a “best costume” prize? Also new this year was the post-race hangout in the sunny fields of Strachan Valley where riders and friends congregated to snack and chat for several hours in the warm sun. The big air jump from Bikefest 10 provided some entertainment to those who still had some energy for jumps. Ace Photographer Jennifer Armstrong was on the hill with her camera and we are looking forward to seeing the great photos she sends our way. For now, here are a few shots by HIMBA volunteer Gideon Cross. 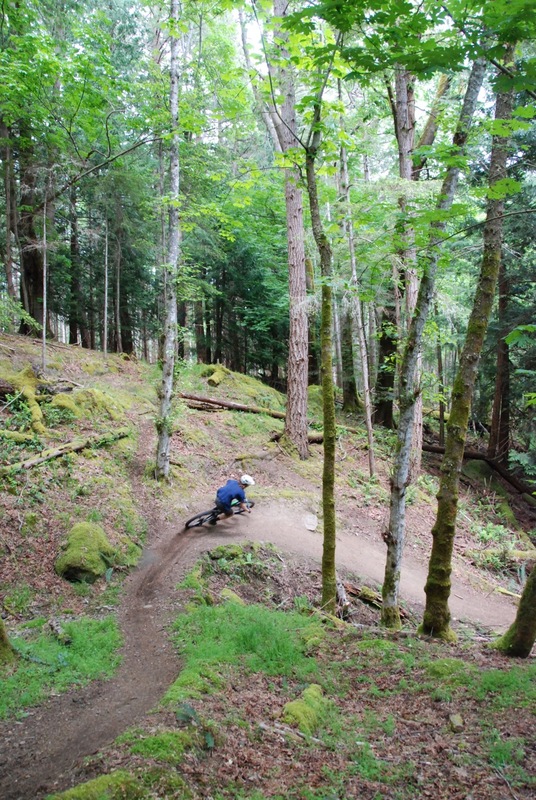 Next post Island Cup Enduro is coming to Hornby!